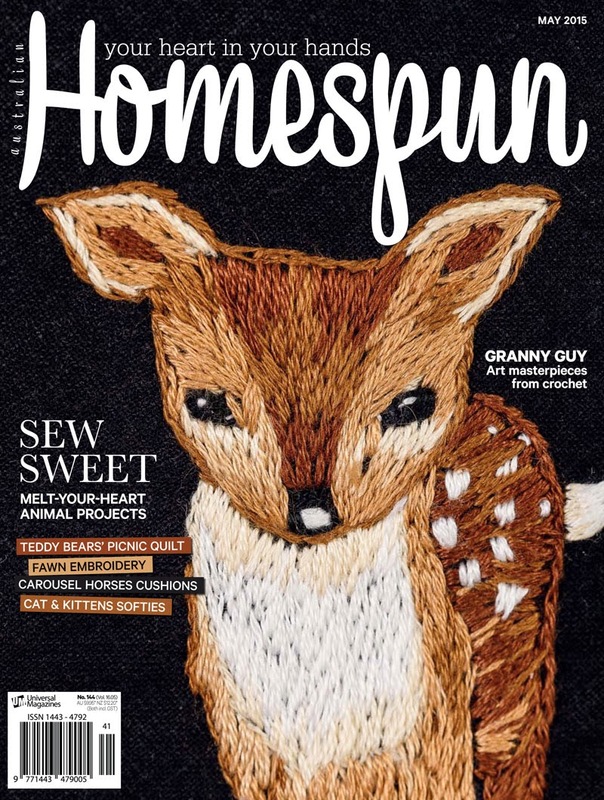 It's was a big surprise when I received an e-mail from my Homespun editor to let me know my Fawn was chosen as cover photo for their May issue! Last year Homespun asked me to make a design that could be embroidered on clothing. In my own wardrobe you'll find lots of animal and flower prints on skirts and dresses so I combined the two in this Fawn & Flower design. And no, it's not Bambi. In fact the text on the left says 'it's so sweet it would put Bambi to shame'. That wasn't my intention because Bambi has had such a difficult start in life already, but there you go... ;) I used a black skirt to embroider on because the dark background contrasts so well with the colours. The stitching is far more 'chunky' than my usual one-thread-only pieces but it works well for embroidering on garments I think. You'll find all the stitch and colour details in this month's issue. If you are not in Australia you can buy digital copies through Zinio and Newsstand. And there's lots of other good stuff in there too like an article about Guy Whitby, he makes pixelated images (digitally) using crochet granny squares. oh wow, that is SO beautiful!! 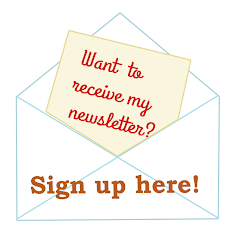 I've never picked up an issue of Homespun before, but now I want to- just for this project! Congratulations on the cover! 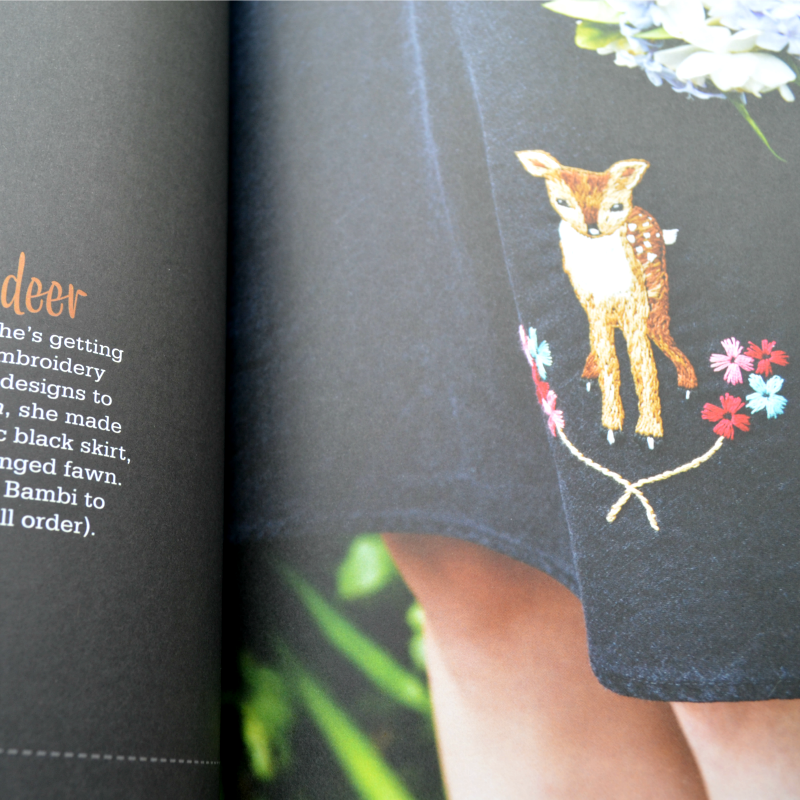 I love the deer on the dark skirt! Gorgeous fawn and beautiful stitching! Great fawn cover girl , congrats! !